This statistic shows the gross domestic expenditure on research and development (GERD) as a percentage of GDP in Denmark from 2001 to 2016. 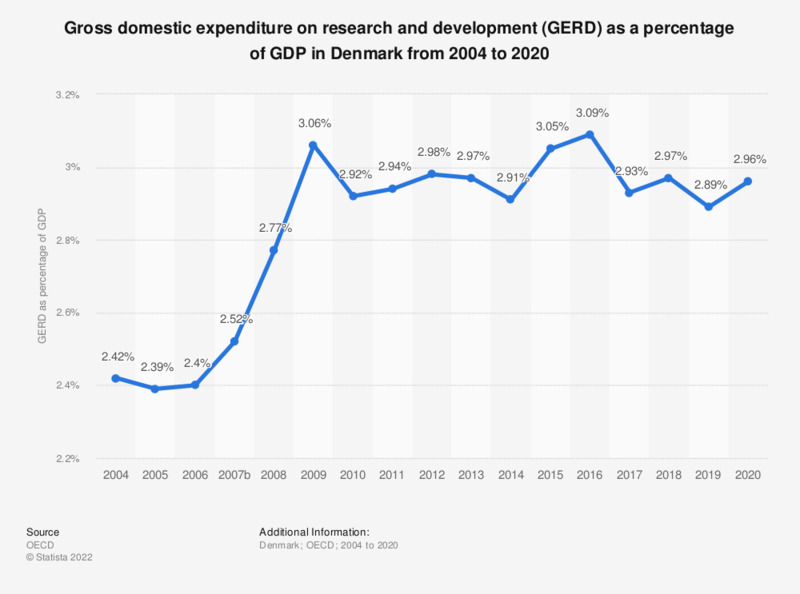 Over the period, the GERD share rose by a total of 0.55 percentage points, peaking in 2009, when gross expenditure on research and development made 3.06 percent of Denmark's GDP. In 2015, GERD amounted to 2.96 percents of the GDP, the highest ratio in the European Union (EU) after Austria.